Having learned the business from the ground up, Lathan Busby gets the job done with a healthy dose of pragmatism and love for the job. In rural Arkansas, some might say that career choices are limited. But for some, the sky’s the limit. “Growing up in our farming community, you really don’t have many choices of what you can do for a job. But you know a little kid’s love for an airplane? It’s every kid’s dream to fly one. 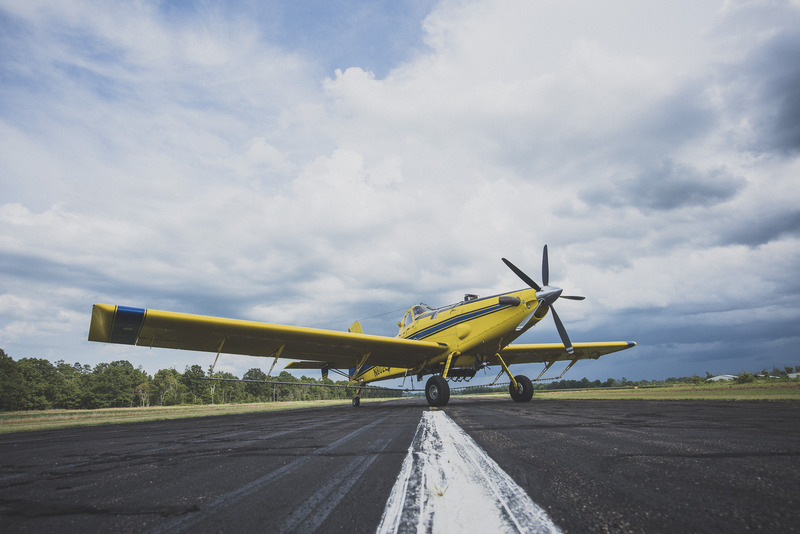 I was lucky enough to have that dream come true,” says ag pilot Lathan Busby. 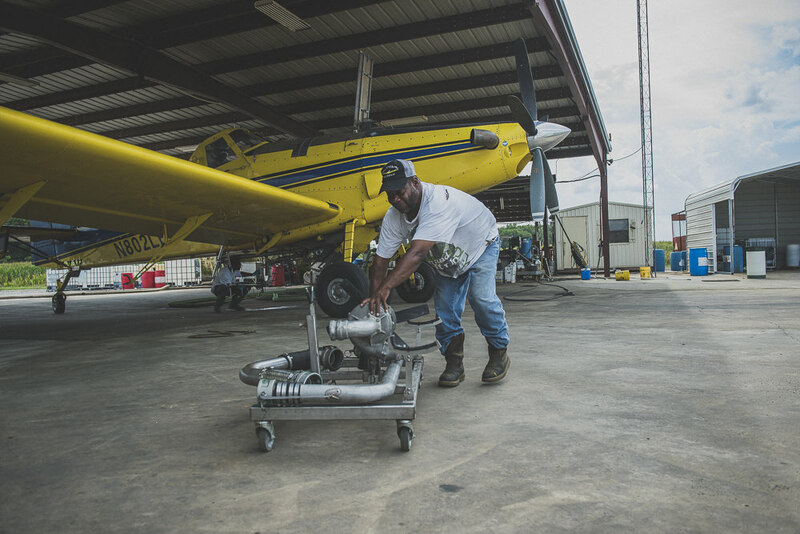 Lathan worked his way up from ag plane loader to pilot of an AT- 802A – Air Tractor’s most powerful, productive ag plane. Today, Lathan flies for E&M Flying Service at Holly Grove, Arkansas. 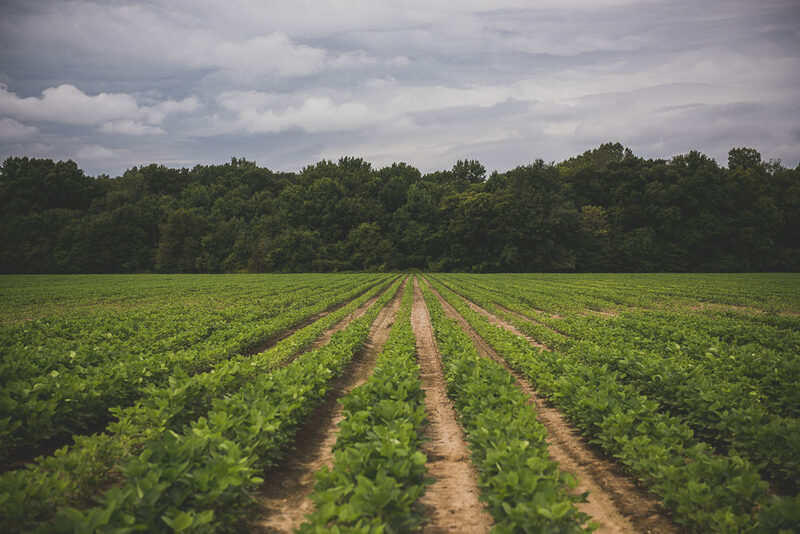 Holly Grove is a quiet town in the bottomlands of the Arkansas Delta, situated among row crops and stands of hardwood trees a couple of miles from the meandering White River. 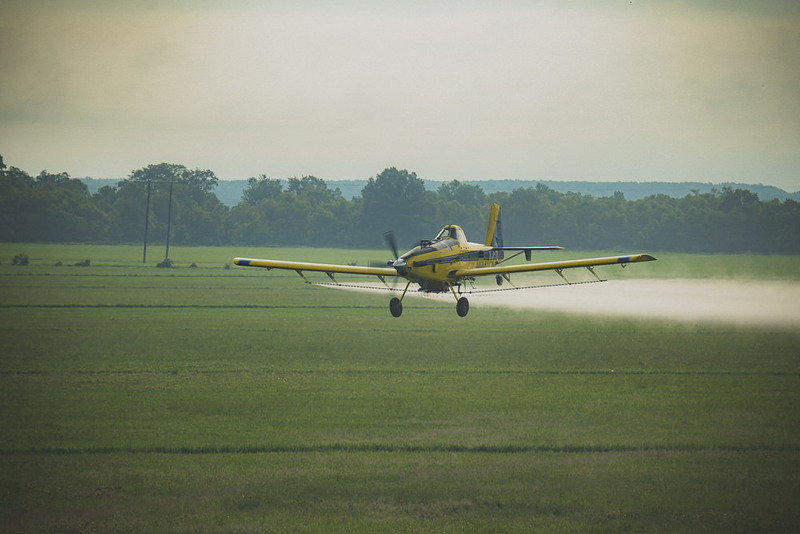 E&M Flying Service sprays a significant amount of acreage in this area, including crops of rice, soybeans, corn, cotton and wheat. 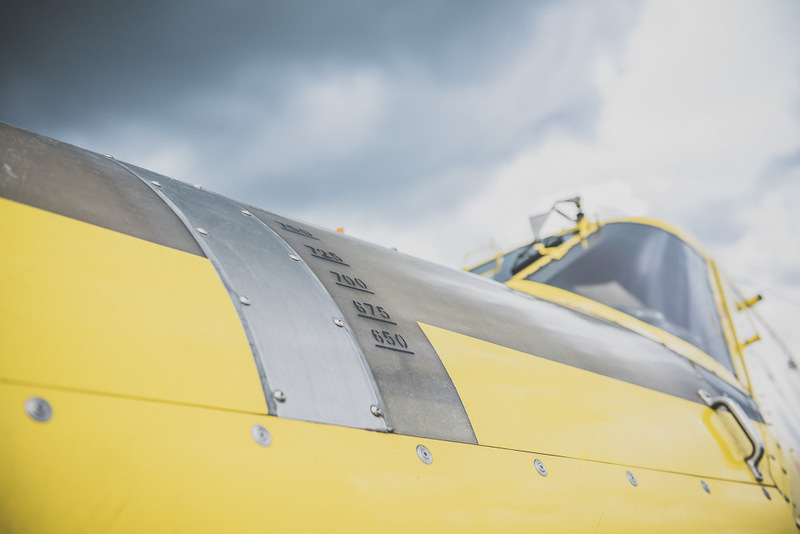 With its 9,495 lb useful payload and 800-gallon hopper, the AT-802 is the right airplane for the flat, expansive fields of the Mississippi Alluvial Plain. And Lathan is the right guy in its seat. In his youth, Lathan did not have to go far to find those who loved ag planes as much as he did. Now, with his many years of ag flying experience, Lathan still gives a nod of appreciation to the men who helped him get into the business. “Having a good mentor is the biggest part of it,” he says. “Racer was pretty much like my second dad. He kinda took me in,” he says fondly. 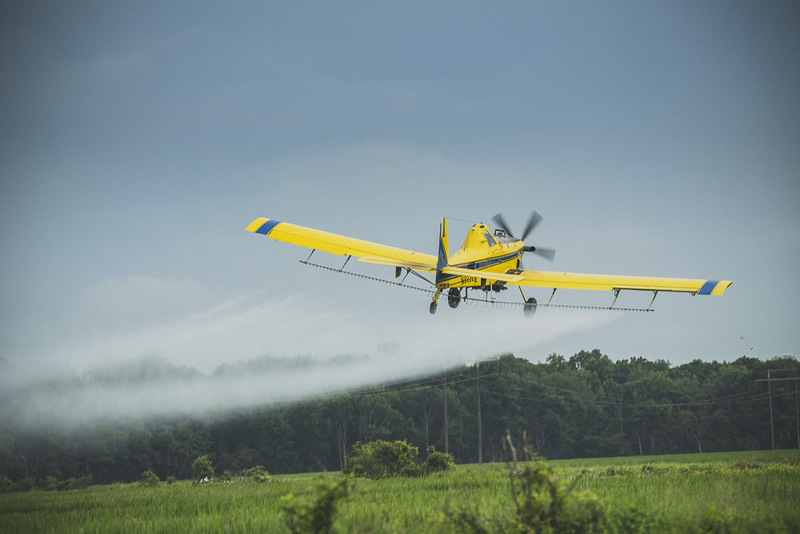 Lathan worked with the ground crew for a good many years, learning about hard work, agriculture, staying a safe distance from buzzing propellers, and sweating through long days at the peak of the spraying season. And watching, always watching and listening to the pilots. “And then one day Racer started easing me in. He showed me how to start the airplane. He showed me how to check the oil, and learn my way around a turbine airplane. 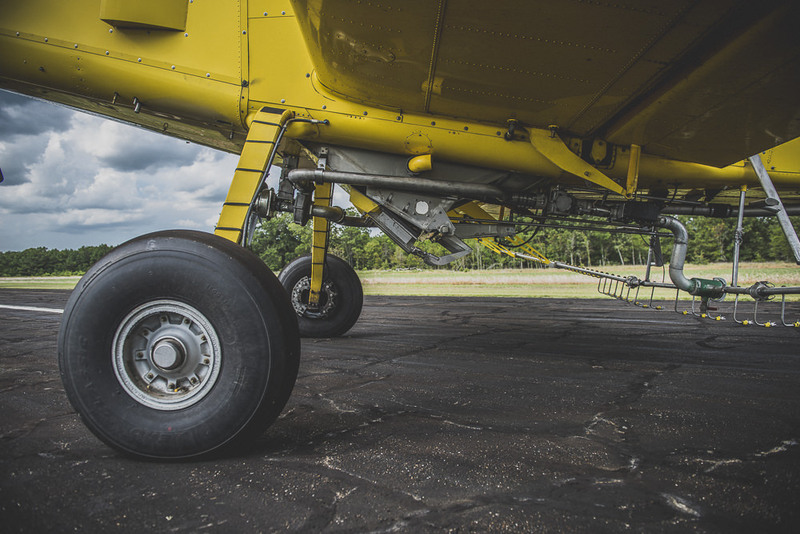 He’d just crank it up, let me taxi it up and down the runway,” he recalls. But flying an airplane is not as easy or straightforward as the young Lathan thought it would be. 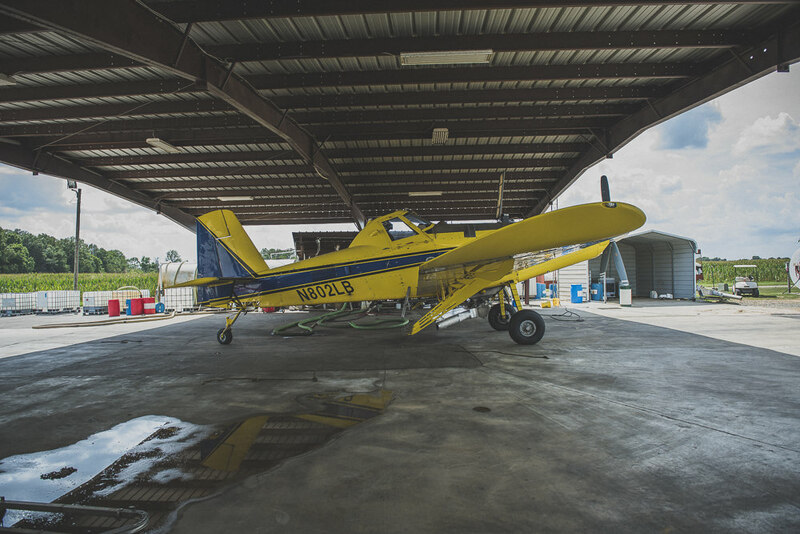 Thanks to Racer and other ag pilots in the area, there was no shortage of guys willing to show him the ropes of the aerial spraying business. 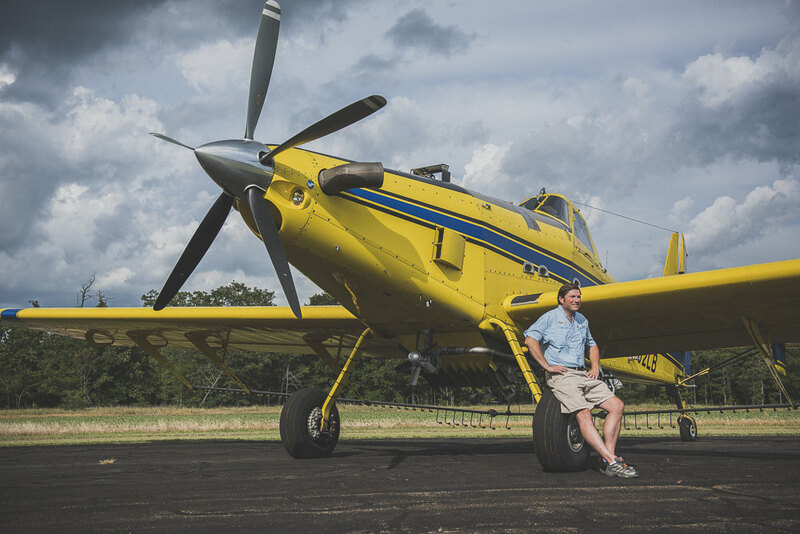 “I benefited from ag pilots right around this area. Racer’s brother Stacy is actually the one who taught me to fly. He’d sit in the back seat of an (Aviat) Husky while I learned how to make spray runs,” he says. Lathan remains close to this salty group of ag pilots. Today he works for E&M Flying Service, co-owned by Racer’s buddy Randy Everett. “Racer and Randy were big friends to me. They had three airplanes and didn’t have but two pilots and were needing a third. So, they kinda shuffled me down here to help ’em out and I never left,” he says. And while Lathan has been flying now for several years, he remembers the lessons-some easy, some not so easy- that he had to learn. “For someone young wanting to start in the business, don’t act like you know everything or can fly anything. Make sure you listen to what people tell you because they know from experience,” Lathan advises. 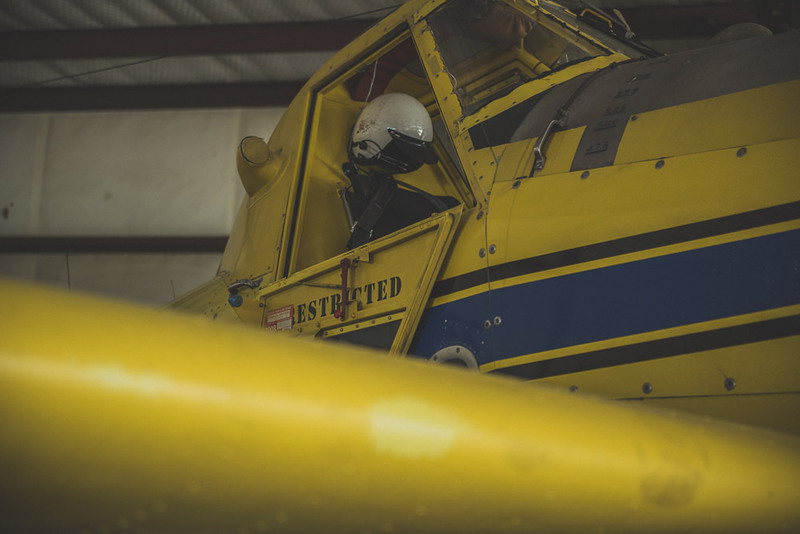 Lathan will tell you that being an ag pilot is a complex job, more than just pushing stick and rudder. You’re hired to protect somebody else’s crop–a season effort, months of hard work and thousands of dollars. All the while you are also responsible not only to take care and make money in a million dollar airplane that’s your livelihood and your boss’s biggest investment. And because it’s a one-seat airplane, there’s nobody but you to look out after your own neck. 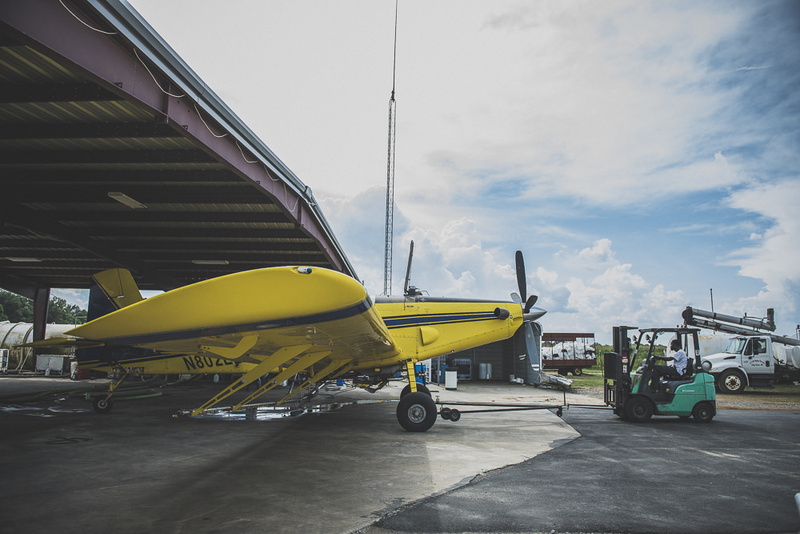 If the weather conditions aren’t right, if your airplane is overdue for maintenance, you may have end up with an unhappy farmer on your hands. But if you don’t listen to that airplane, keep straight and fly right, you could find yourself in a world of trouble. It all comes with the job. That’s why aerial application is not a job everybody can do, or is willing to do. And even among those who chose the profession, not all pilots have what it takes to stick with it. “There are a lot of things going on in a cockpit and in your surroundings. It can be very overwhelming. You know, you’re flying 160 miles an hour across a field. If you’re not into it, you don’t need to be there. You look back and see the ones that you’ve lost that you started with. It makes you wonder if you still wanna do it,” says this father of a young daughter. 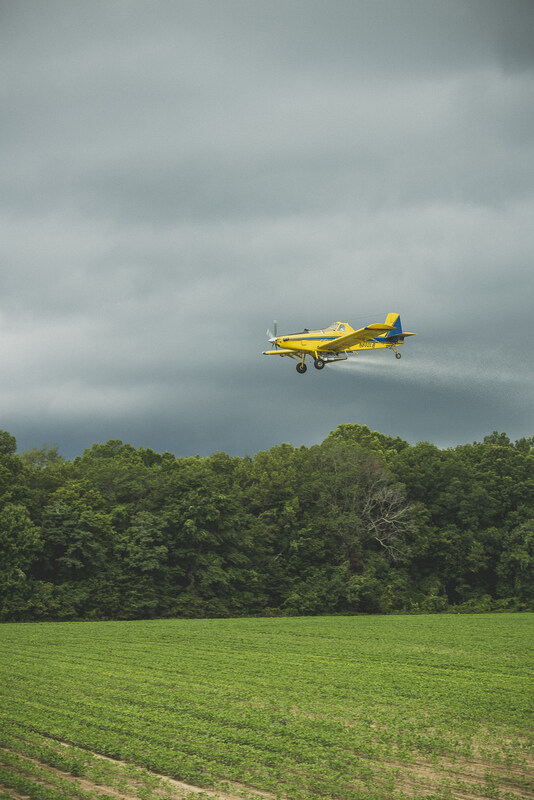 Yet, Lathan believes aerial application, and the role he plays in it, is important not only for the growers, but the larger community those who play their part in putting produce and food on the tables of homes in this country. Yet, as so many ag pilots have experienced, you can quickly find yourself on the defense. “Just because you go out there and you blow some smoke to find out which way the wind’s blowing, it drifts across a passing car, and they think you’ve done something wrong to them. They think you’ve sprayed them. There’s so many people out there that don’t understand what we do for a living or what it consists of,” he says. 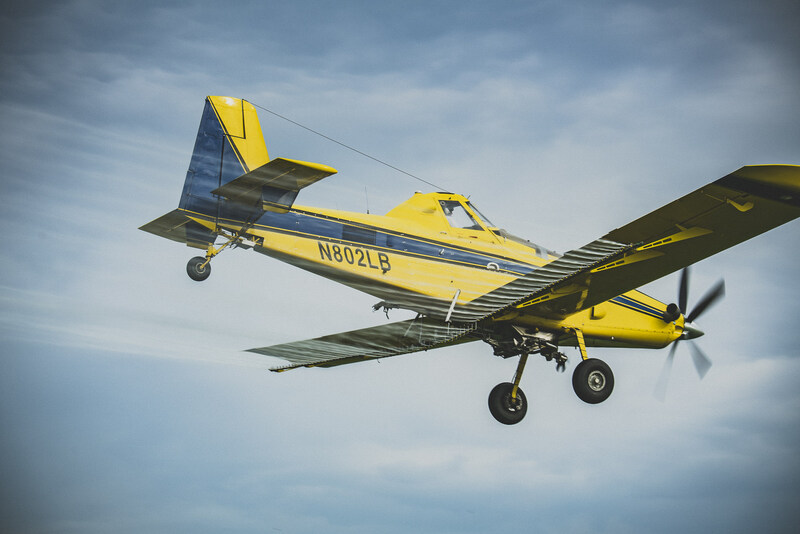 There are still a lot of people out there who believe that ag pilots are unruly sky cowboys. “We get a bad rap just because that’s what it was back in the day. 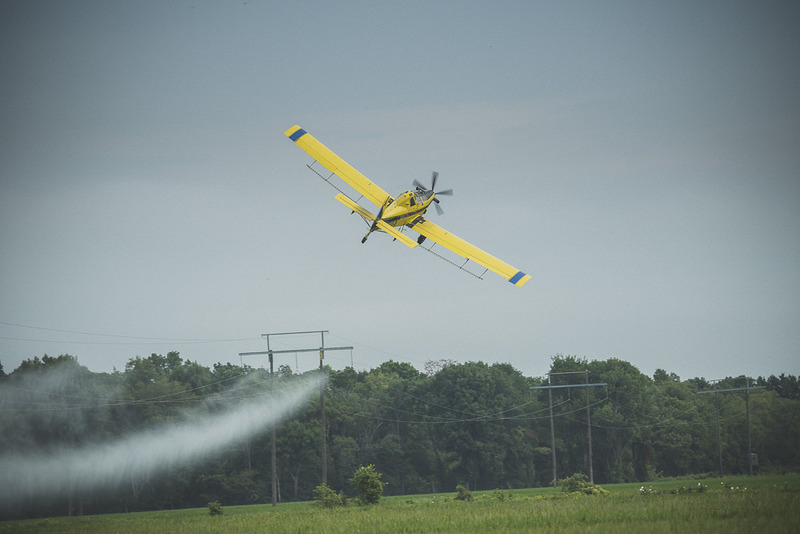 We crop dusters are known for liking to have fun. And we do that when it’s time. But when it’s not time, we’re serious about our work,” Lathan says. 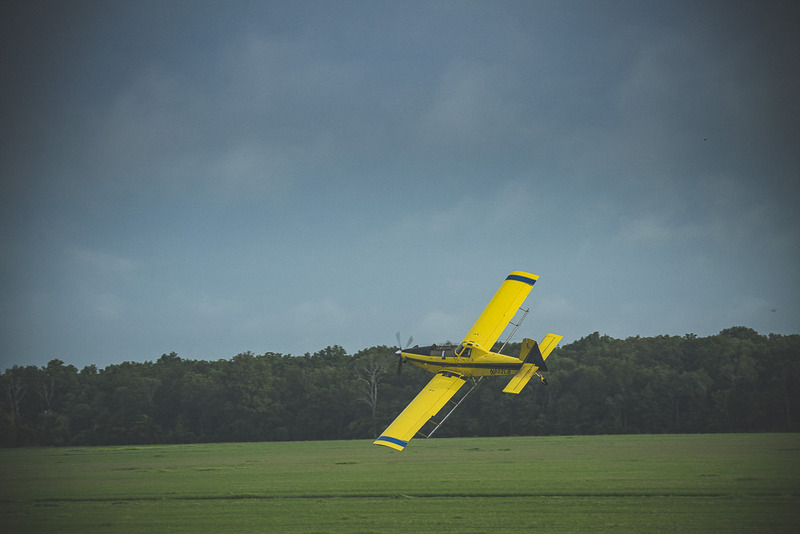 In modern ag application there is no room for barnstorming antics. 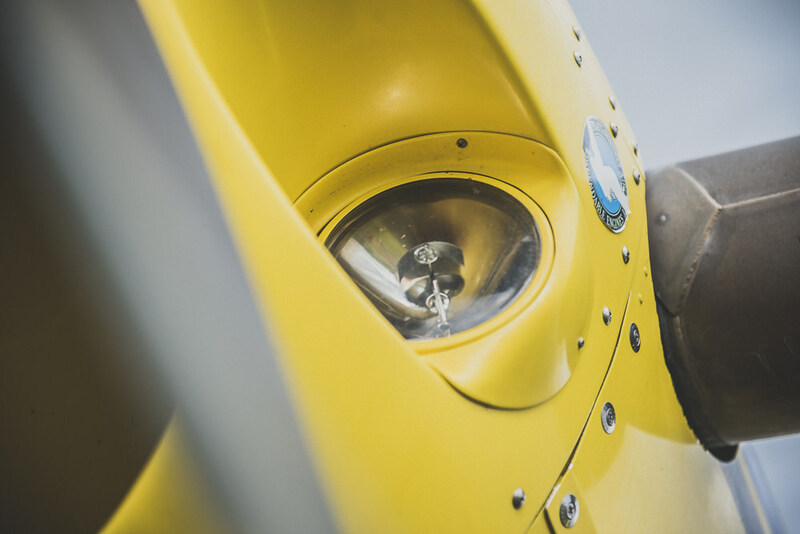 Insurance companies won’t insure a pilot with a record of recklessness. 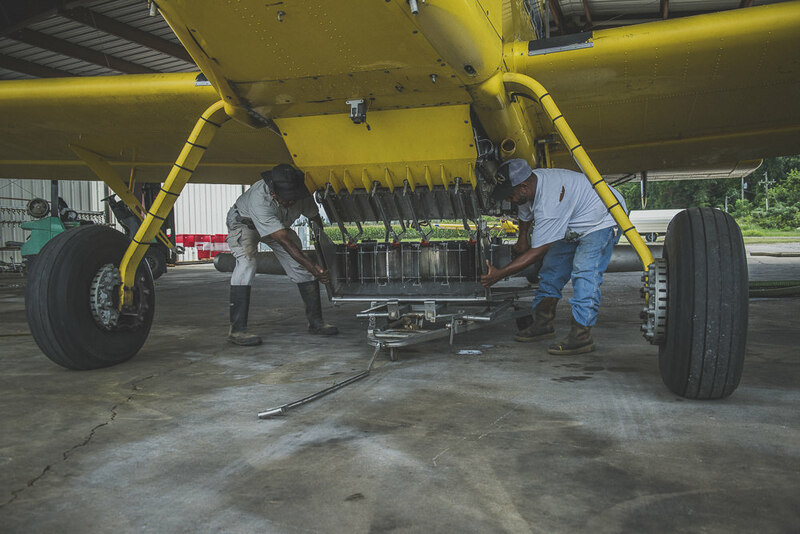 Ag airplanes are high tech, precision-engineered pieces of machinery. 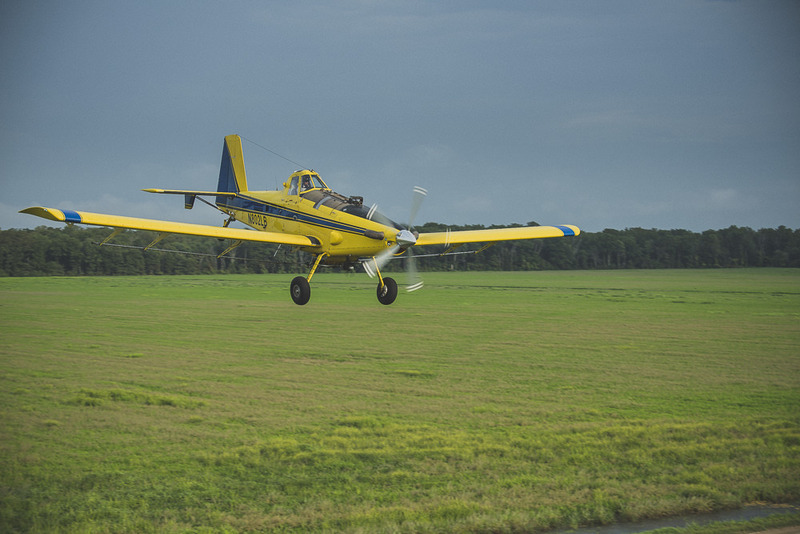 Pilots don’t fly an Air Tractor without thousands of dollars of flight time, training, ratings and licenses. 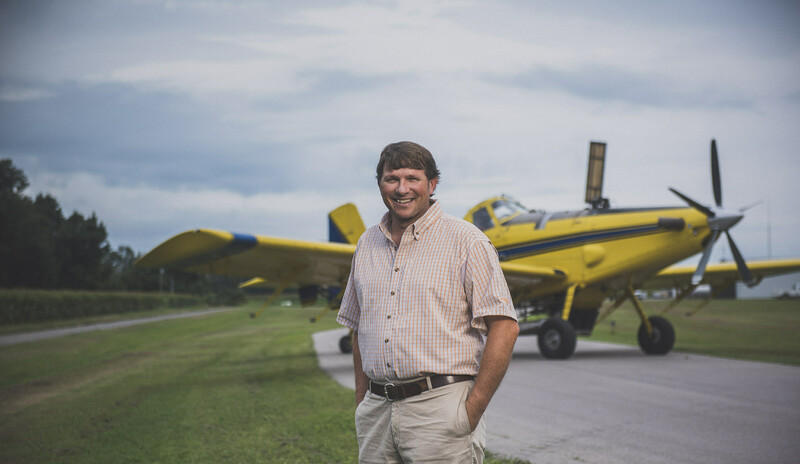 Helping his industry reflect their professionalism is why Lathan is involved in the Arkansas Ag Aviation Association. Step up if you want to see change for the better, he says. It’s really quite simple. 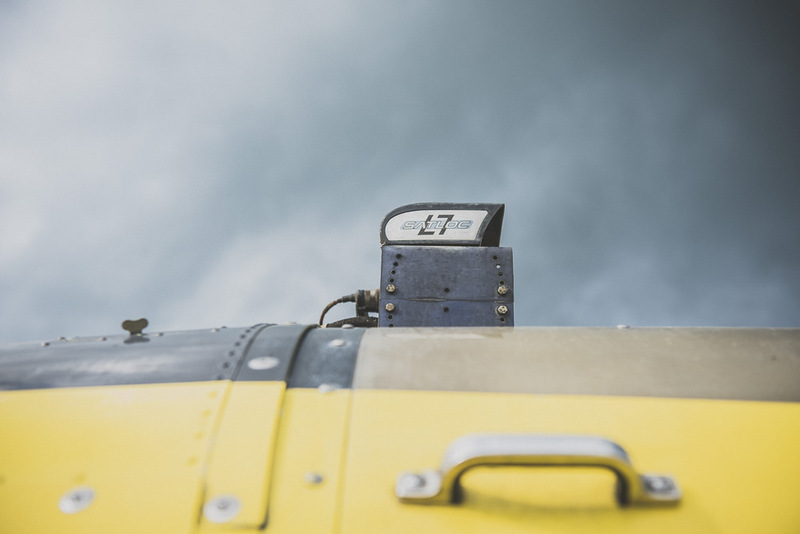 On the ground and in the air, to keep yourself and your airplane safe, every action must be deliberate, calculated and purposeful. 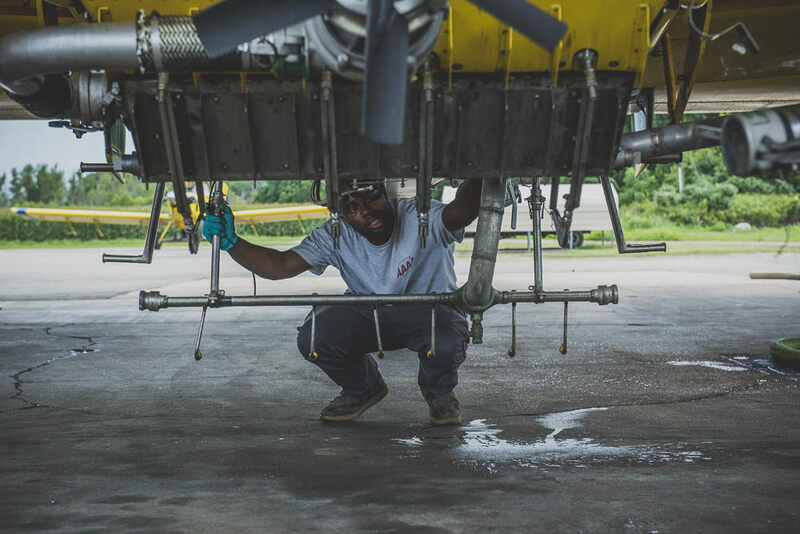 When it comes to ag flying, Lathan has lived every chapter in the book, done every task in the hangar and on the ramp. And he wouldn’t have it any other way. This experience provides Lathan the fuel and focus to get the job done, season after season. He smiles, “I’m not gonna lie, I don’t love it all the time. 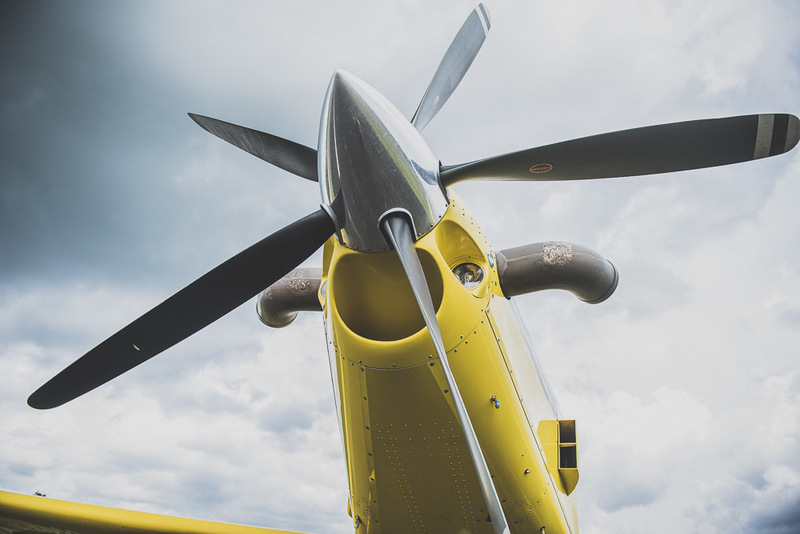 But in the spring of every year, when I haven’t been in the airplane in a while and the airplane’s flying good, it makes me remember why I love this job,” Lathan says. With that healthy dose of pragmatism, it’s back into the cockpit for Lathan. There is a job to be done.